My OCD has been in remission for about six years now– six delicious years of sweet freedom! Have I had any flare-ups? Yes, a handful, but nothing like I used to experience. 2. Return immediately to ERP. Do not pass GO. Do not collect $200. Just dive headfirst into an old exposure. Doing this shows OCD that you’re still calling the shots and brimming with bravery. There. It’s as straightforward as that. What other tips do you have for managing OCD in remission? This entry was posted in anxiety, CBT, ERP Therapy, OCD, OCD in Remission and tagged anticipate OCD setbacks, ERP best treatment for OCD relapses, managing OCD in remission, ocd and erp, OCD relapses, OCD remission, OCD remission and relapse by Jackie Lea Sommers. Bookmark the permalink. I think you sum it up, Jackie! 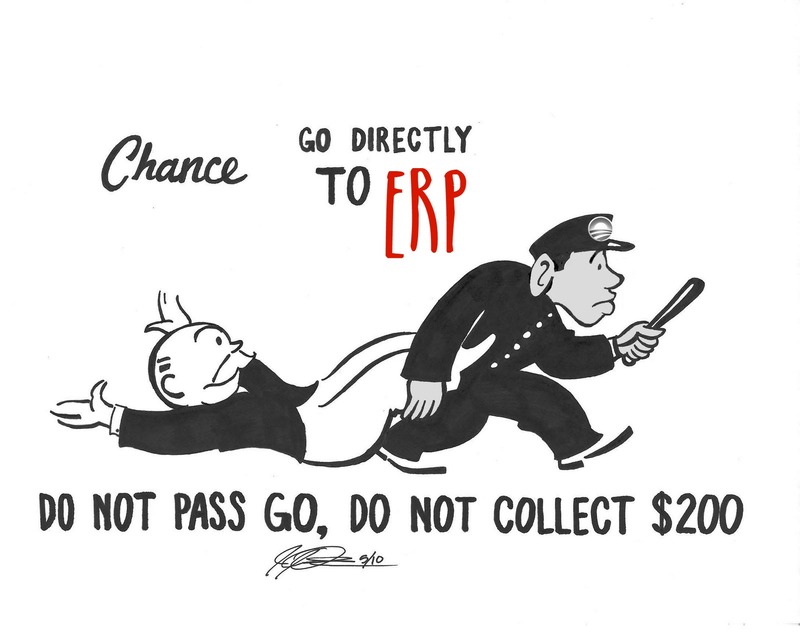 Thank goodness for ERP! I think it’s very important that people with OCD understand that ERP is part of the arsenal that will keep us well and that slip ups are normal. For me, an important thing to remember is that a relapse is not permanent. I tend to think that it means I will never get better again. Not so! Love your blog! Very helpful. Do you experience the back door spike with any flare ups , where the bad thoughts come upon you but you feel no anxiety about it. That has been the hardest part for me. It almost feels like I enjoy saying these thoughts and makes it impossible to tell the difference between me and my OCD. Any help would be great! Hmm, I would have to think about this, Ben. My OCD was treated back in 2008 or 2009 so it’s been awhile since I had to manage the after effects of Erp. I do know that this last week I had a sort of the Mini episode, but it really wasn’t a very big deal and I was wondering if it was bad that it wasn’t a big deal. But ultimately I let it go because as someone with OCD I have great morals and boundaries, and I need to focus more on freedom than on boundaries, if that makes sense. There are many, many, many people in this world who need to focus on boundaries instead of freedom, but for many of us with OCD we have the boundaries part down and need to do better with the freedom part. No know that this really answered your question, but in remission, for me, if I don’t feel the anxiety over something, I trust that that is just a reflection of the freedom that I found through exposure therapy and not an expression of some sort of lapsed sense of judgement. After exposure therapy and in the nearly 10 years since, I have learned to trust my own self more, to give myself the benefit of the doubt. Does that make any sense? My name is Justin, I was diagnosed with OCD when I was around 24 years old. It took me a while to get it under control but I was able to get freedom from it for the past 10 years. I’m now 38 and just recently had my first child which was a big life change. My OCD has come back in full force which is very discouraging because I thought I would know how to handle it if it came back. Its been about 6 months since it came back and I am currently in treatment but I feel like I can’t see then end of the tunnel. Does anyone have experience with a relapse after many years? I feel pretty lost. Any advice would be greatly appreciated.